Lots of people say that if you follow a “balanced diet,” you’ll get enough vitamins and minerals. I personally would love to believe it … but it’s just not true. Many people are eating way too much processed food that is devoid of nutrition. 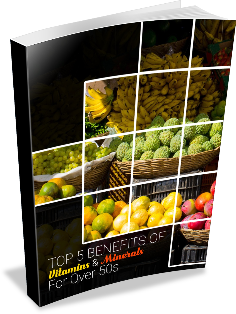 There’s a lot of research that shows many people don’t get enough vitamins and minerals. Period. Regarding cataracts and age-related macular degeneration, there seems to be a slight improvement. Since they contain low doses of many different nutrients, they’re also safe (as long as you have a quality product).Of course, taking a multivitamin is not a way to improve a poor diet. I always recommend eating a balanced diet of whole foods. There is plenty of evidence that eating a diet of whole, unprocessed food prevents many diseases.